On March 30th we published an article about the sudden push by the FDA to label homeopathic remedies as dangerous. We’re copying you on the message Downsize DC is sending to its supporters. We urge you to read it and then use the link below to go to Downsize DC’s quick-and-easy Educate the Powerful System to issue the same instructions to your Congressional reps.
Click this link to write your letter! •Ask Congress to make the FDA advisory rather than mandatory. 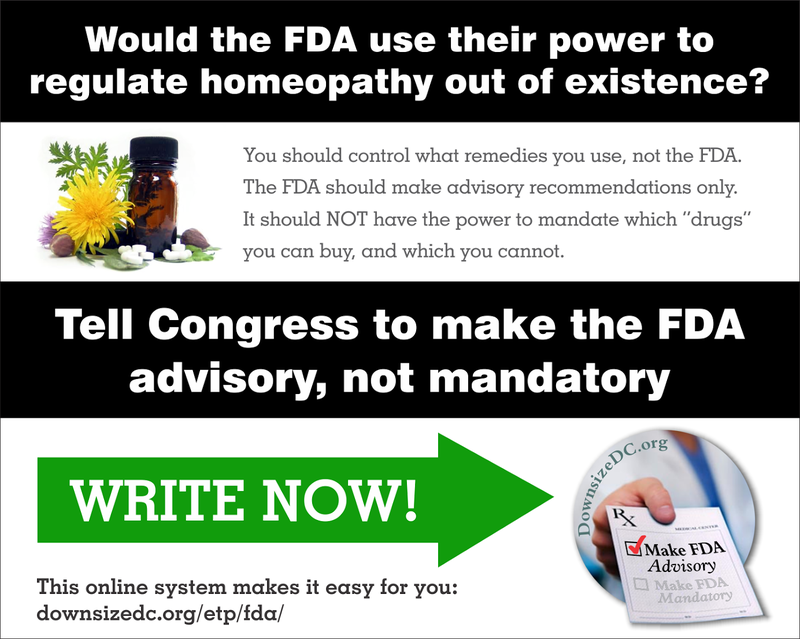 •Use your personal comments to tell Congress to block the FDA from any action against homeopathy. I want all my Congressional representatives to write the FDA a letter telling them to cancel the alert and the hearings. This makes it very clear — we do NOT need the FDA to protect us from things like supplements and homeopathy. What we really need is protection from the FDA and their Big Pharma cronies. 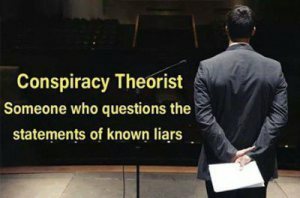 Please show that you represent me, and not the FDA-Big Pharma cartel. Jim Babka, President DownsizeDC.org, Inc.